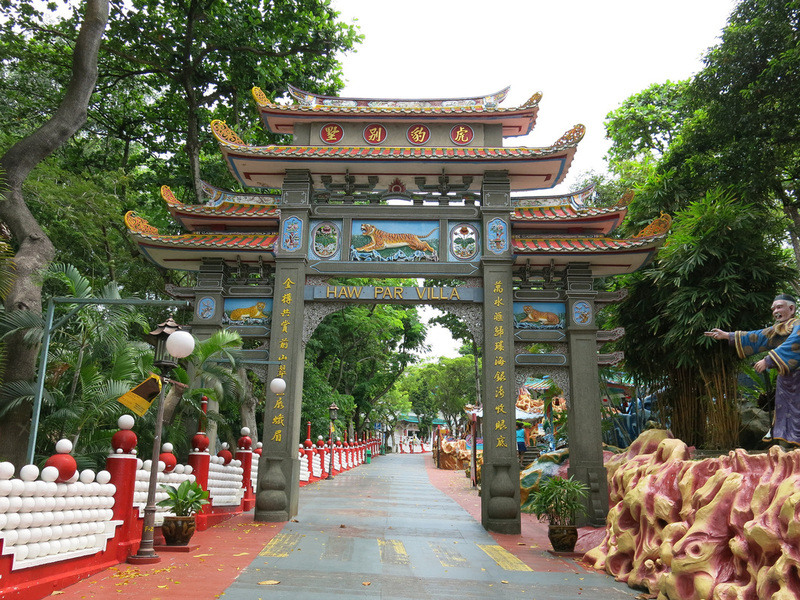 I've visited many Chinese temples. I've seen many practitioners take off their shoes, seen many a joss stick burned, seen many a sacrifice placed on an alter. I've heard chanting and the stringing and blowing of instruments. 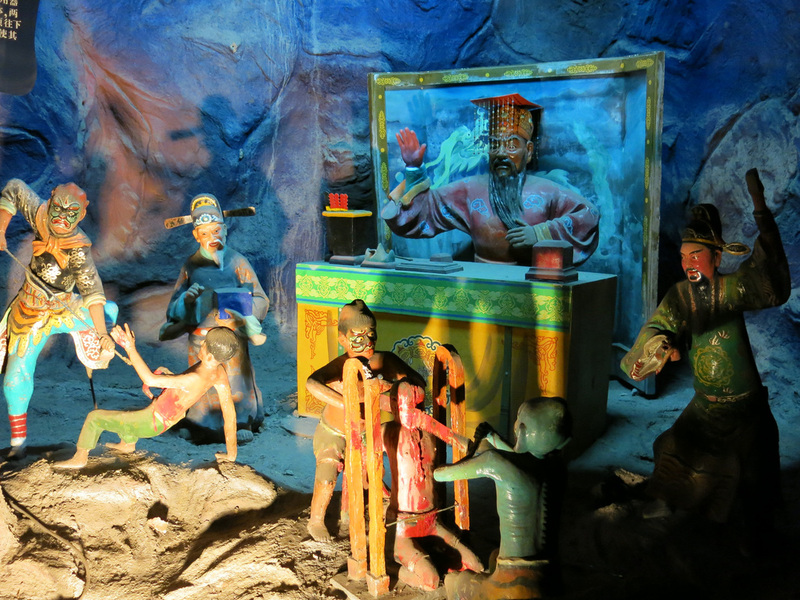 But I've never seen or heard a service nor does the Chinese folk religion have a monk, preacher, or sadhu equivalent. 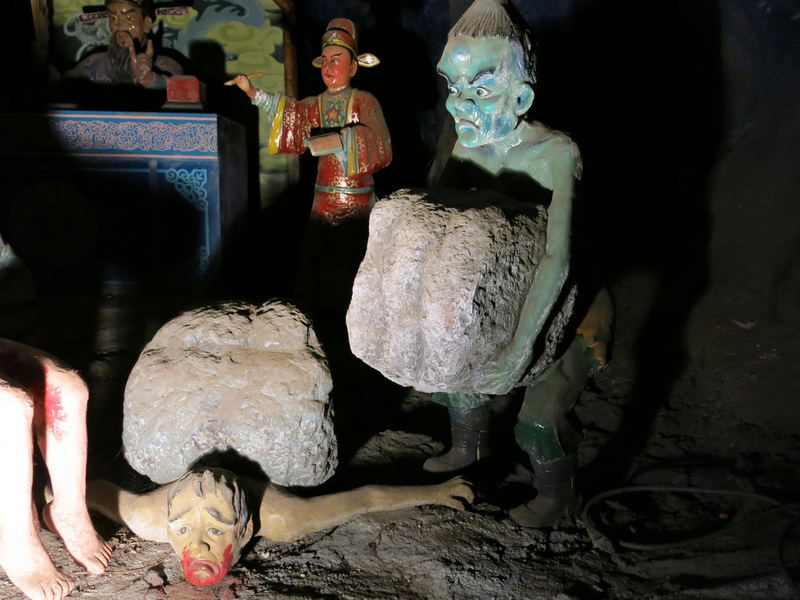 I've started to wonder how the “stories”, philosophies, and guidance of Chinese folk religion pass from one generation to the next. How has Confucius philosophy been shared for the past 2,500 years? What is the primary sacred text, a Bible, Quran, or Vedas equivalent that details the stories of 1,000s of gods and goddesses? Google does not provide a quick and simple answer. I've searched for books without success on Amazon. 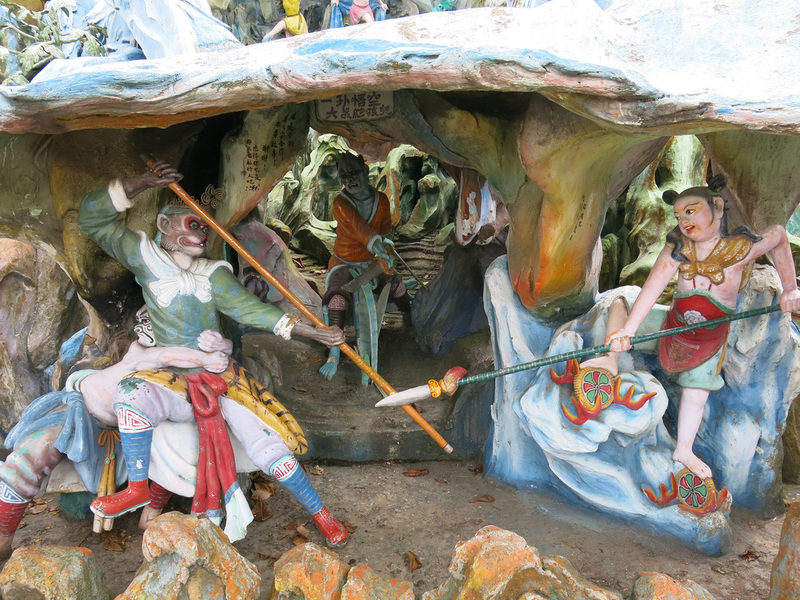 Enter Haw Par Villa. 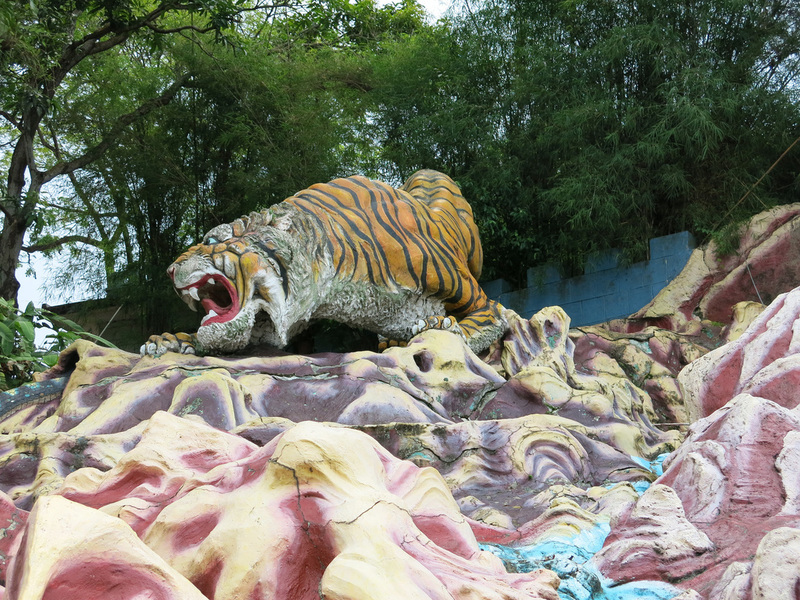 In the 1920s the founders of Tiger Balm relocated from Rangoon to Singapore. 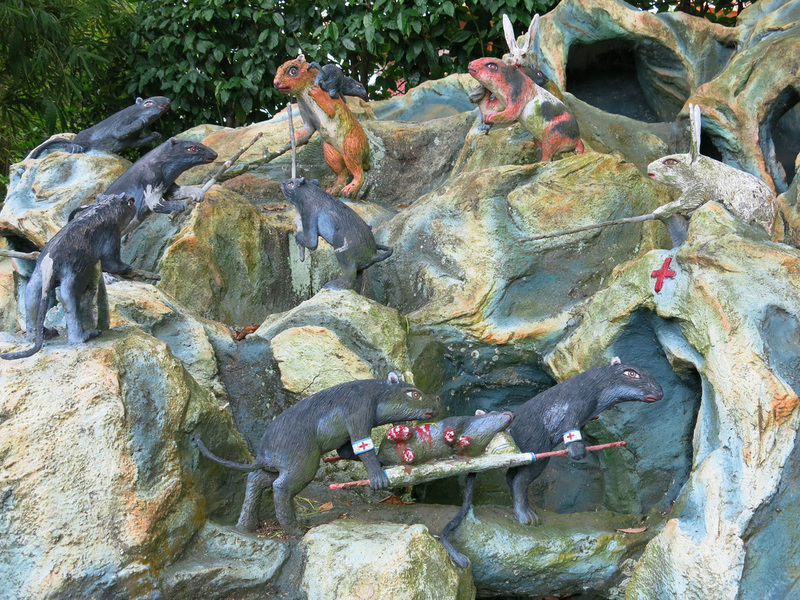 The brothers' product soon became a pharmaceutical best seller and with the proceeds built a mansion and a theme park. 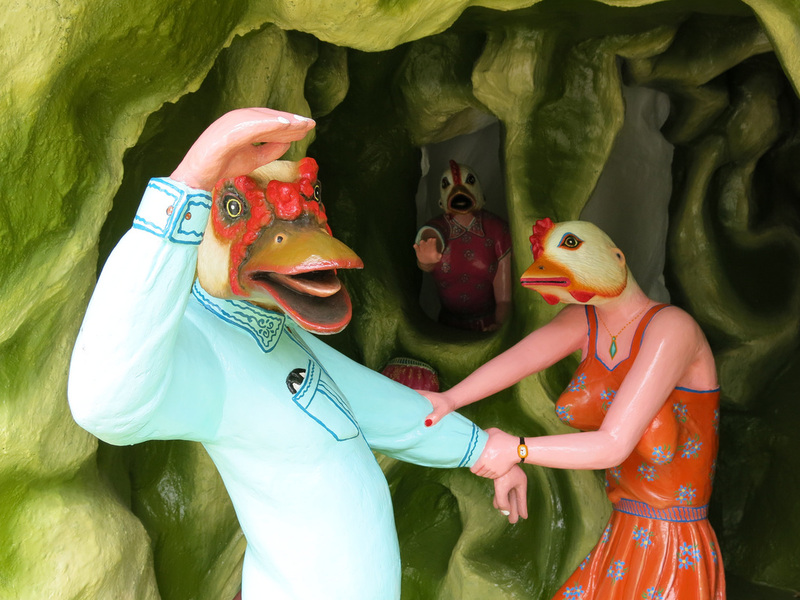 The mansion was destroyed during WWII, however, the theme park lives on. 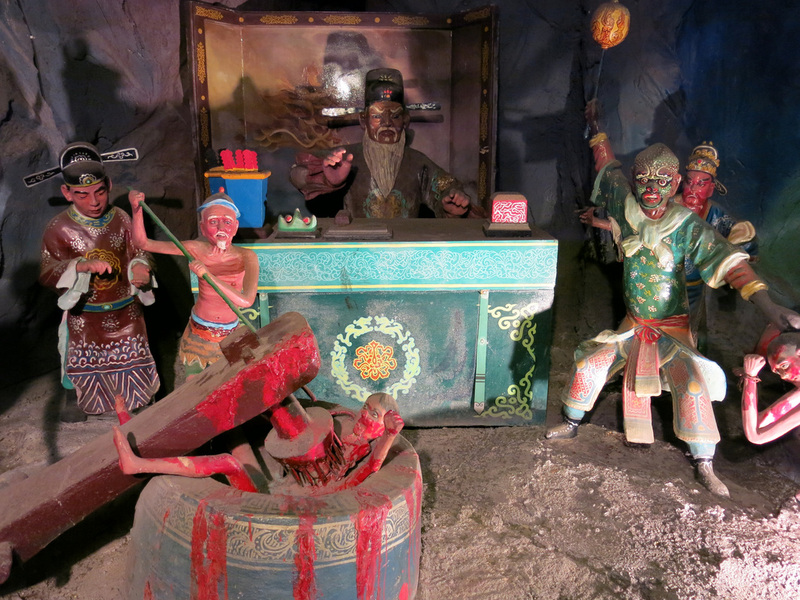 The “theme” park has a unique hook - instead of rides and amusements there's dioramas depicting scenes from Chinese folk religion. At long last I will finally have some religious and philosophical insight. 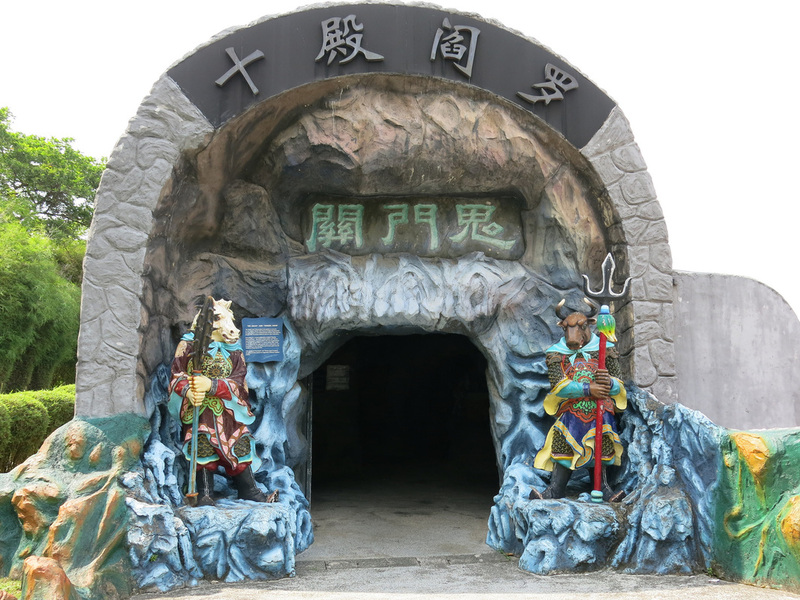 The park opens daily from 9-7 and the entrance gate is less than a minute walk from the Haw Par Villa metro station on the Circle Line. 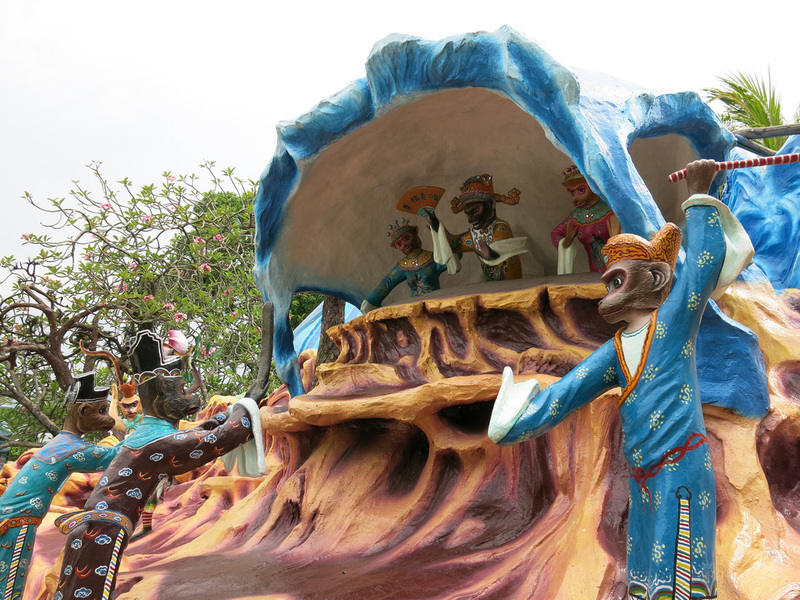 The park has several sections dedicated to the major stories and themes of Chinese religion such as “Journey to the West” and “Romance of the Three Kingdoms”. 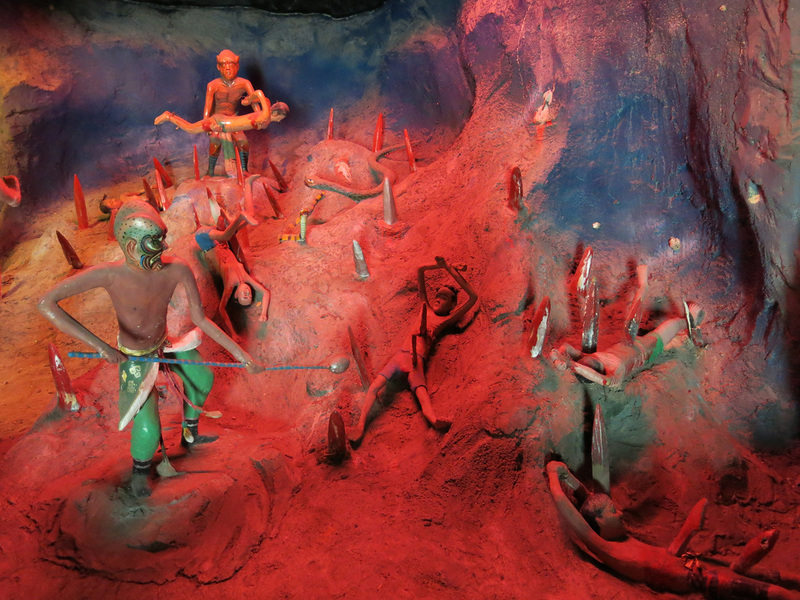 Other areas focus on Confucian virtues and celebrate the zodiac animals, sometimes in gruesome battles. …and punishment doled out, court by brutal court. Disrespect your elders - heart cut out. Neglecting the old - crushed under rocks. I'm starting to understand why the Chinese treat their parents so well. Gold Bridge, Silver Bridge, or HELL! You did NOT obey your father!!! Corruption, stealing, gambling - frozen into blocks of ice. Tax dodger, business fraud - pounded by a stone mallet. 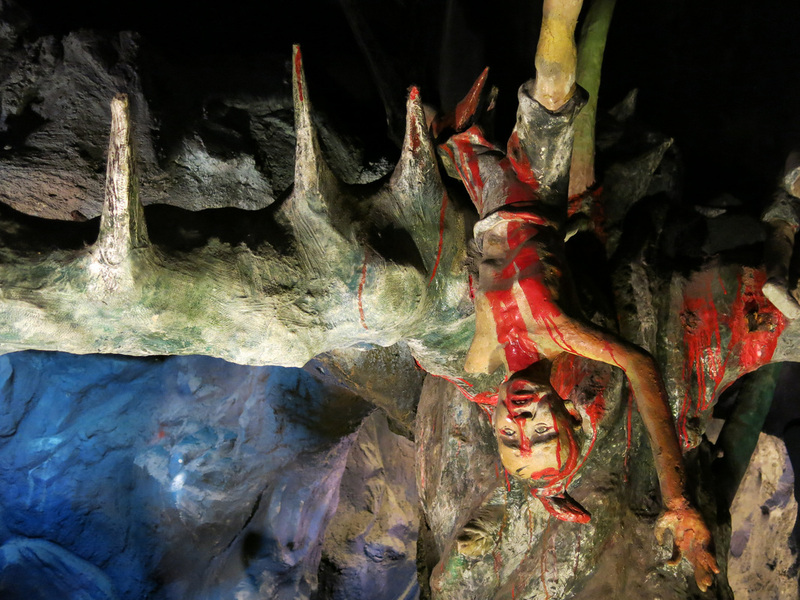 Charging high interest rates - thrown onto a hill of knives. Maybe the SEC should look into these sorts of penalties. Charging High Interest Rates? Not in your next life. Finally at the tenth court it's reincarnation where you get to live once more…and die and descend to hell again. 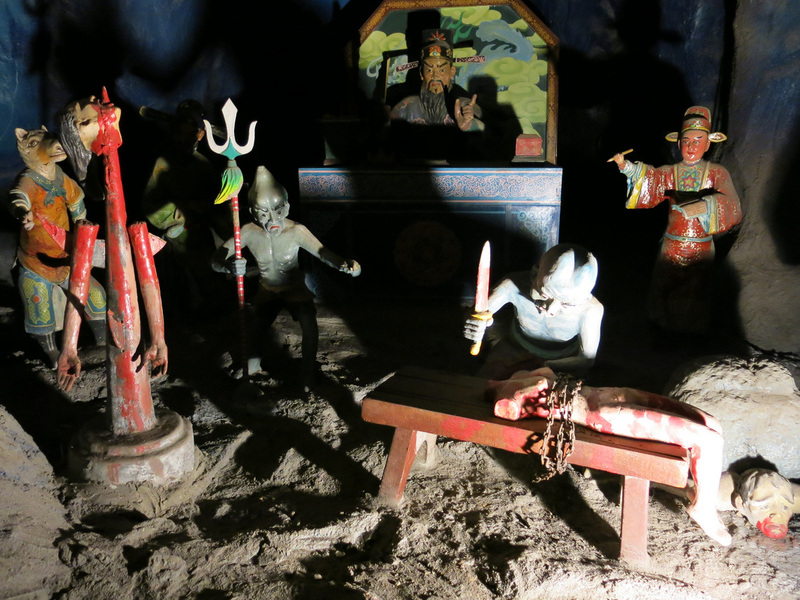 After leaving the Ten Courts of Hell the rest of the dioramas seem quite tame although they still retain some unusual qualities. 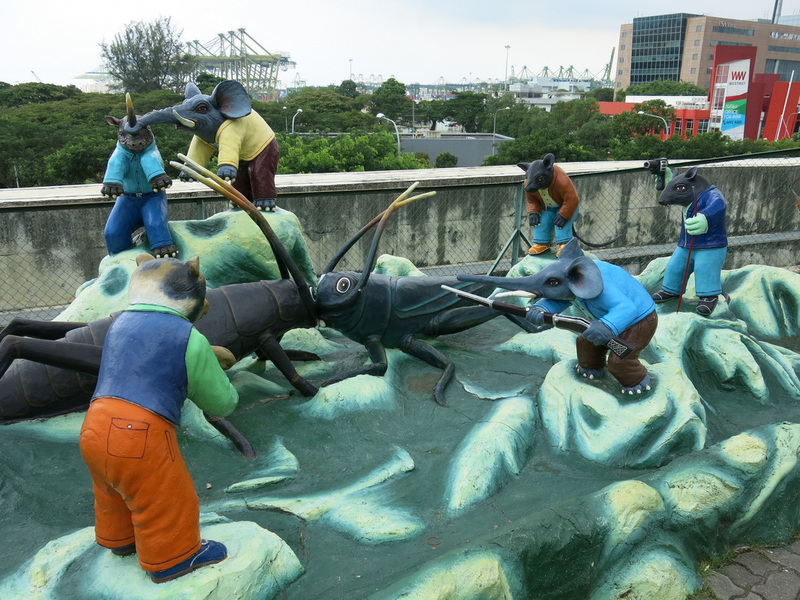 There's rabbits fighting rats, rats and elephants pointing guns at grasshoppers, and a scene from Planet of the Apes. 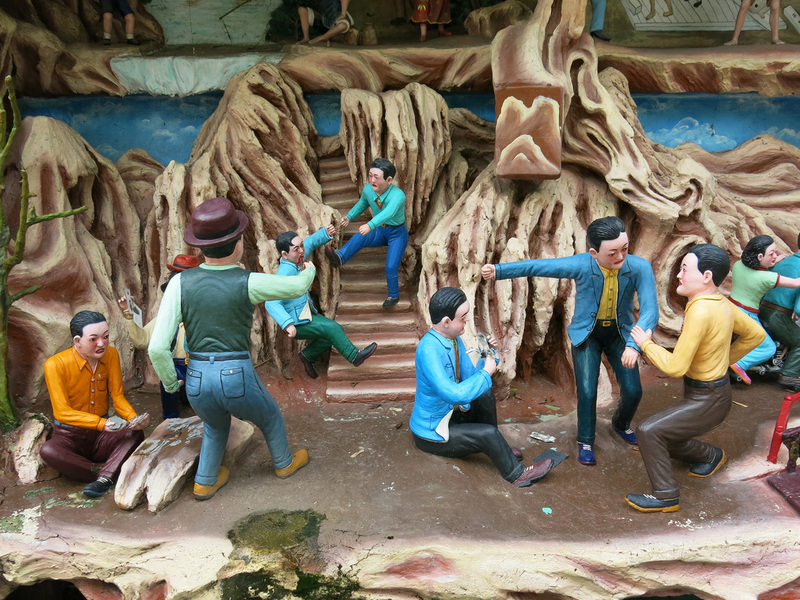 Upper sections of the theme park provide descriptions of the scene (although it was fun imagining the background of the descriptionless scenes. 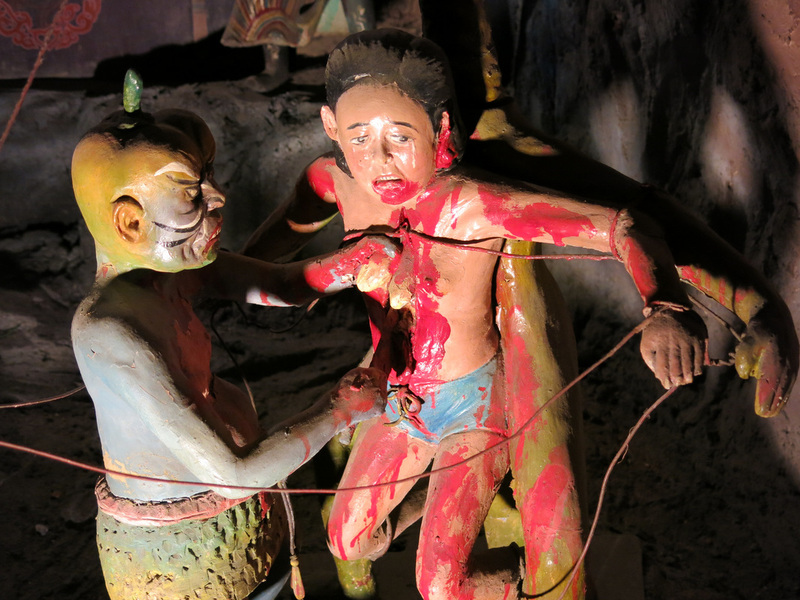 Another gruesome segment involved the battle between the Monkey God and the Scarlet Child. 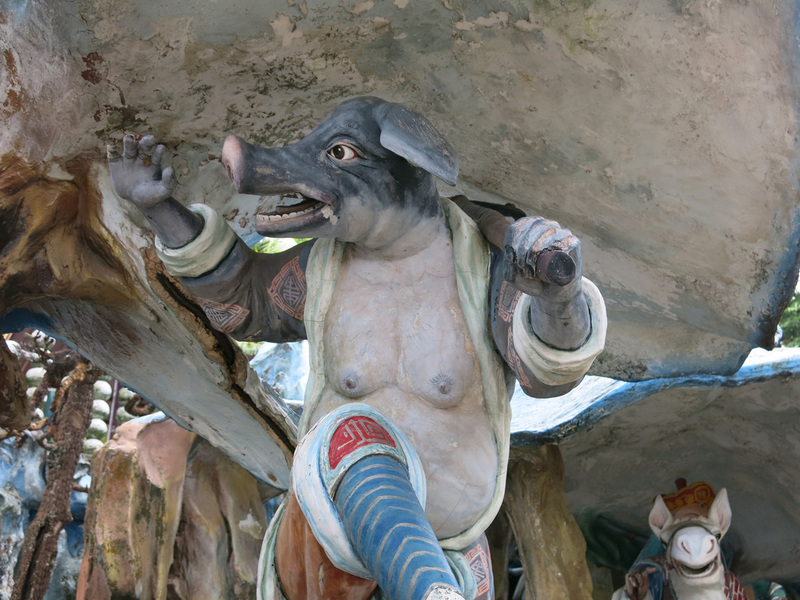 Fortunately the Monkey God could count on Pigsy for support. 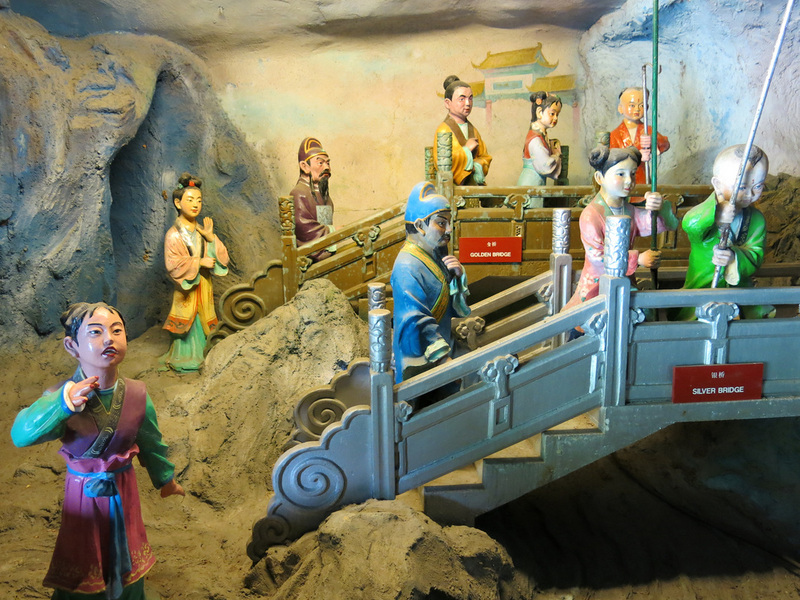 Dioramas also share Confucian virtuous qualities. No gambling. No drug dealing. Be a good friend or you'll be eaten by a bear. 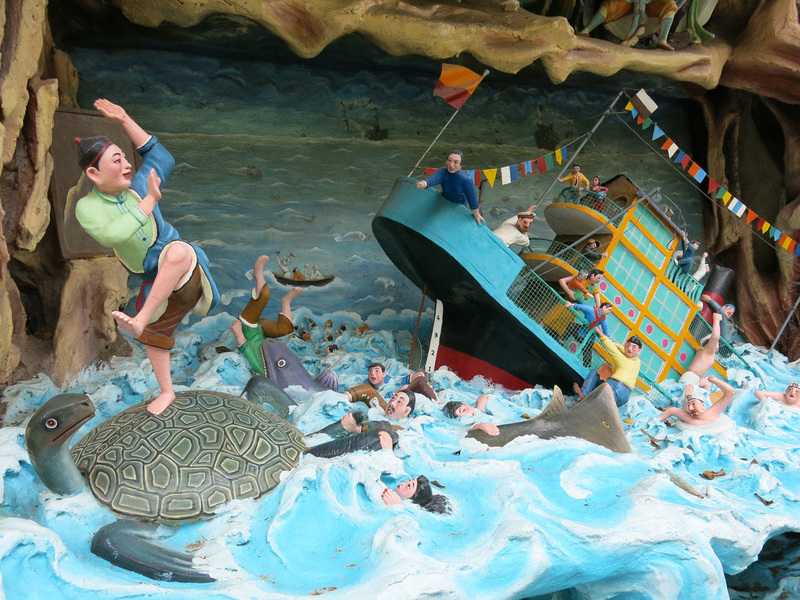 Save a turtle so he turtle can return the favor when your boat sinks. It took about an hour to walk through the park but I learned more about Chinese religion here than in all the previous temple visits combined. I also learned why Chinese children are so quiet and well-behaved.